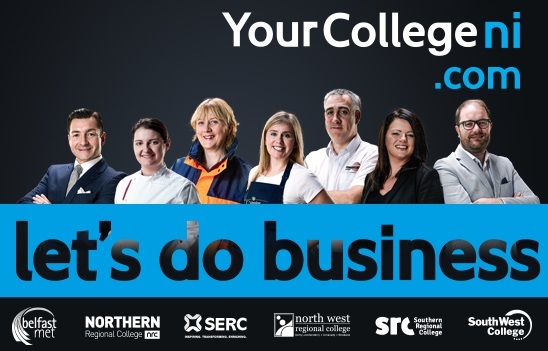 Northern Regional College supports the economy by providing a wide range of services to the business community including consultancy, training and upskilling. Advice on funding and tailored solutions are developed and delivered by our Business Development team and Industry specific technical and academic staff. Staff Training - upskill your staff by providing the training and skills they need to improve your business. Consultancy - your business could achieve a real economic benefit from our commercially-focused consultancy services. Innovation - with the input of our expert staff your innovation projects could be delivered cheaper, faster or with a greater return on investment. Facilities - we have facilities and equipment that are available to hire. Employ Students and Graduates - find out how you can access new and recent graduates or to employ our current students for part-time opportunities. Funding and Support - we can provide advice and help with access to funding that may be available to you. Northern Regional College will process all personal data in compliance with the Data Protection Act 2018 for the purpose of providing support for your Business Engagement needs so that you have equality of opportunity. We will never ask for information that is unnecessary to deliver this service. View our privacy notice for further details. Once you have subscribed to the business support mailing list you will only receive communication in relation to our business services and products offered by Northern Regional College. Your information will not be passed to third parties.